Today's 360° project is The Edge, a mobile, prefabricated home designed by Boutique Modern, a company that specialises in building modular houses that keep sustainability and energy-efficiency at the forefront. Inspired by Mies van der Rohe's iconic Farnsworth House, The Edge stands out for its galvanised structural steel exterior. 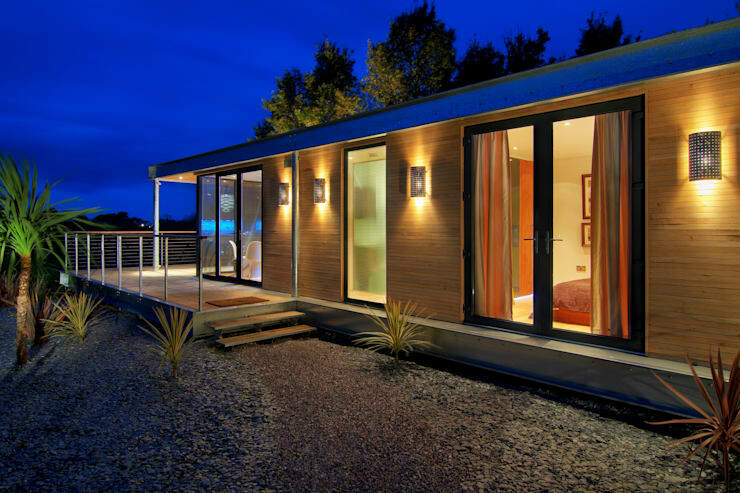 Not to forget, this is a mobile home, which means it's essentially a modern-day caravan—thanks to the steel framework which gives the building adequate strength, it can be moved as and when needed! Didn't expect that, did you? Even though The Edge is built in a factory, it can be customised according to the customer's needs and wishes. Today, we look at the smaller of the two versions of The Edge, which is typically configured as a two-bedroom floor plan. 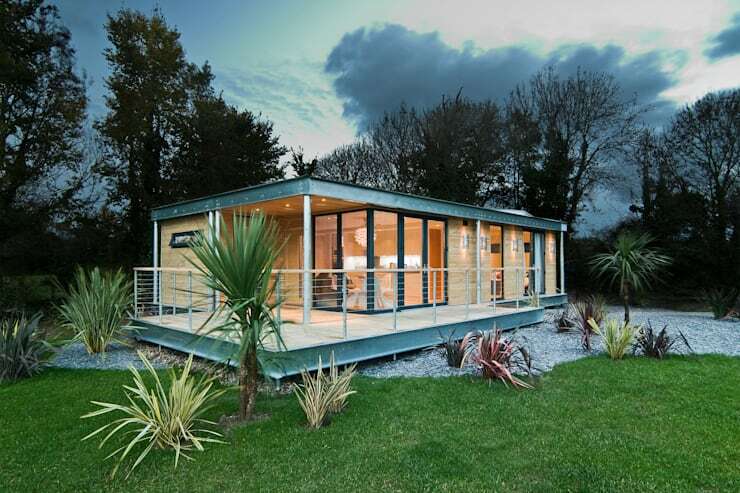 It is the show home for Penmayne Edge Park, a vacation home development situated in North Cornwall. Although it does have a lot of technical aces up its sleeve, this versatile home isn't just about that though. With its preference for a modern minimalist style, The Edge is the perfect getaway home for those who are environment-conscious but still want to enjoy the luxuries afforded by a holiday home. A mobile home in that setting? Sold and sold! But that's just a bonus for The Edge (plus, by definition, a mobile home doesn't need to have a static location). The energy efficiency comes into play by the use of structural insulated panels for the walls, floor and roof; plus, there's a heating and cooling system powered by solar panels, which incidentally also provides enough electricity for The Edge so that it can be used year-round. In addition, the windows are triple glazed and can be heated to turn more opaque thus offering more privacy. The steel exo-skeleton of The Edge distributes its weight evenly through the 12 columns; in layman's terms, that essentially means there is no requirement for a typical foundation for the structure. Plus, this minimises the need for the on-site work that precedes the construction of a standard building. We also love how the look and feel of a cabin in the woods has been replicated here, at least in part. Note how the floor-to-ceiling glass has been interspersed with solid walls made out of timber. Sure, this may just seem like another good-looking living room but what you can't see are the hidden features in there, such as the engineered hardwood flooring and in-floor heating. These are just the base finishes seen in this model though. Depending on a customer's personal needs, there are enough upgrades to make you hopping around for joy. 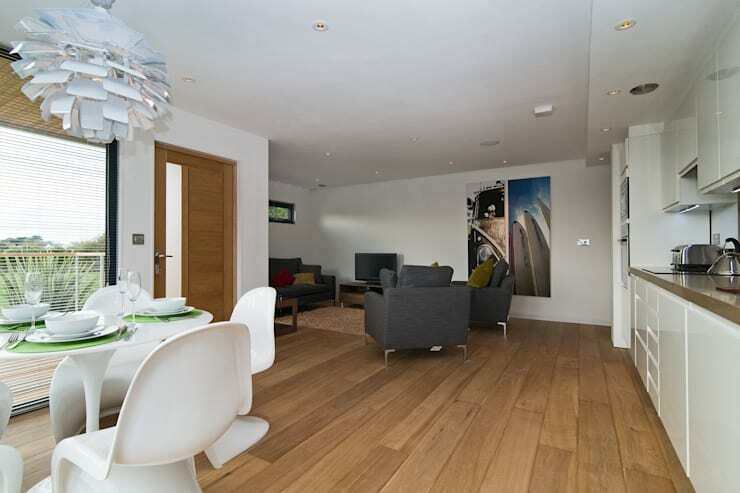 The open-plan layout of the living room is kept modern and minimal. Once again, this can be customised—that is, furnishings, finishes and surfaces—based on the customer's preferences. A swanky bathroom is the last thing you'd expect in a mobile home, but that's exactly what you get at The Edge. This is cutting-edge design at its best. There's a bunch of optional upgrades you can choose but the basic finishes include a heated towel rack, heated flooring and mood lights. A textured wall in the shower stall adds more character to the otherwise modern and minimalist bathroom. 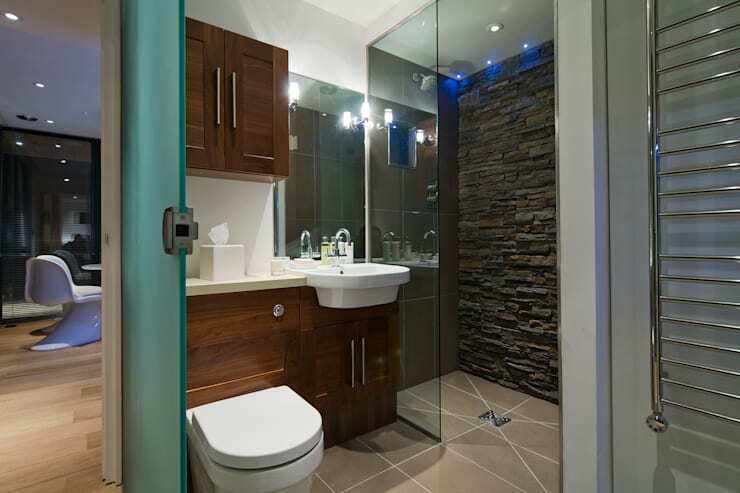 Apart from other things, this is an example of a smartly-designed compact bathroom; if you are looking for more ideas, speak to our experts. One of the most striking parts about The Edge is the fact that it doesn't have any load-bearing interior walls. With that obstacle out of the way, it is even possible to customise the number of rooms you need, as well as change up the layout and window placements. Here we see one of the two bedrooms in this show home, designed in a contemporary timeless style. Gone are the days when prefab, modular homes were hastily thrown together structures solely meant to solve a housing problem! To be inspired by a different kind of architectural design, check out The small home bursting with ideas. What did you think of this versatile modern-day caravan?